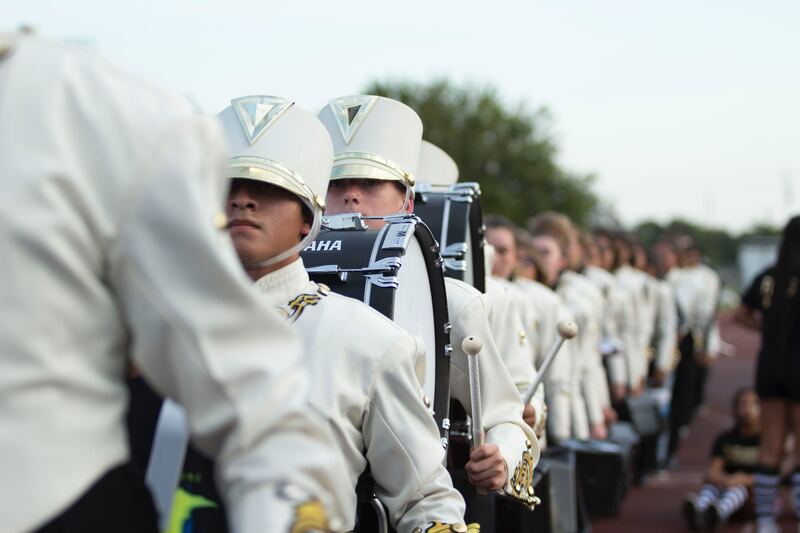 From making sure they’re in sync to ensuring their uniforms are crisp and clean, here are a few ways you can prepare marching band students for a parade. Regardless of the specific step style your band uses, you need to make sure your students understand the steps like the back of their hand. They should be able to accurately describe it to other students and walk them through the steps. Along with marching style, you should make sure the way your students hold and walk with their instruments is unified. If one trombonist holds their trombone higher than the other your band will appear sloppy. At the end of the day, judges, audience members, and fellow musicians want to see band members that hold their head up high, keep their shoulders back, and keep their feet picked up off the group. Before your band even plays a note they will be judged by how they look. For this reason, it’s important that they all have the same look, from the color of their shoelaces to the smile on their faces. If your band members aren’t proudly wearing their uniform from the second they step foot on the field, then the entire group will suffer. To ensure your band is presentable at all times, keep them accountable for each other. Although not every parade bans jewelry, excessive make-up, and unnaturally dyed hair, err on the side of caution. This also goes for the accessories you allow your students to use on their instruments! Depending on where you’re marching, your band members may be able to dress down and be comfortable. In a parade where no uniform is required, such as city parades, encourage your students to wear loose, comfortable clothing and sturdy shoes. If your students are marching in a competition or a major parade that’s going to be on TV (congratulations, by the way! ), this obviously isn’t an option. In such a case, your band members can still dress for comfort by wearing thick socks, insoles, and things like sunglasses, if permitted. Don’t forget the sunblock! 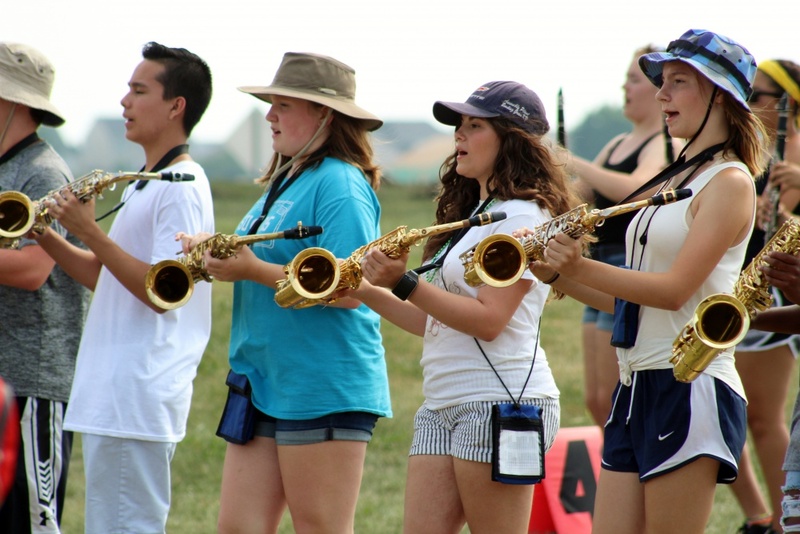 Your students might be used to recitals, but parades last much, much longer, and most aren’t prepared. Fortunately, you’ll be able to plan for most parades, and this planning includes building up their endurance. Encourage your students to start with 20-minute outdoor walks, especially if the temperature resembles what they’ll be dealing with the day of the parade. They should gradually increase the time they spend walking until they’re walking as long/far as the parade will take them. Finally, incorporate their instrument into the mix. Limber up your students with stretches, warm-ups, and cool-downs after practice and increase the severity gradually. Your students might hate you while this is going on, but they’ll thank you when the parade is over. MUSIC & ARTS IS A NATIONAL MUSIC RETAILER WITH RESOURCES FOR PARENTS, STUDENTS, EDUCATORS, AND MUSICIANS. WITH OVER 195 STORES ACROSS THE COUNTRY AND THE LARGEST PRIVATE LESSON PROGRAM IN THE UNITED STATES, MUSIC & ARTS IS AN AUTHORITY ON MUSIC EDUCATION AND A RESOURCE FOR NEW AND EXPERIENCED MUSICIANS ALIKE.